Together with Rolex, Patek Philippe is known as the most prestigious luxury watchmaker in the industry. The history begun 1839 in Geneva, when Patek Philippe started to build pocket watches. The company has a long and successful history of watch innovation, that is written almost for 180 years. Patek Philippe was the first watchmaker having the chronograph, the perpetual calendar, the minute repeater and the split-seconds hand build into a wristwatch. The Reference 1491 was launched in 1940 and the production lasted until 1958. 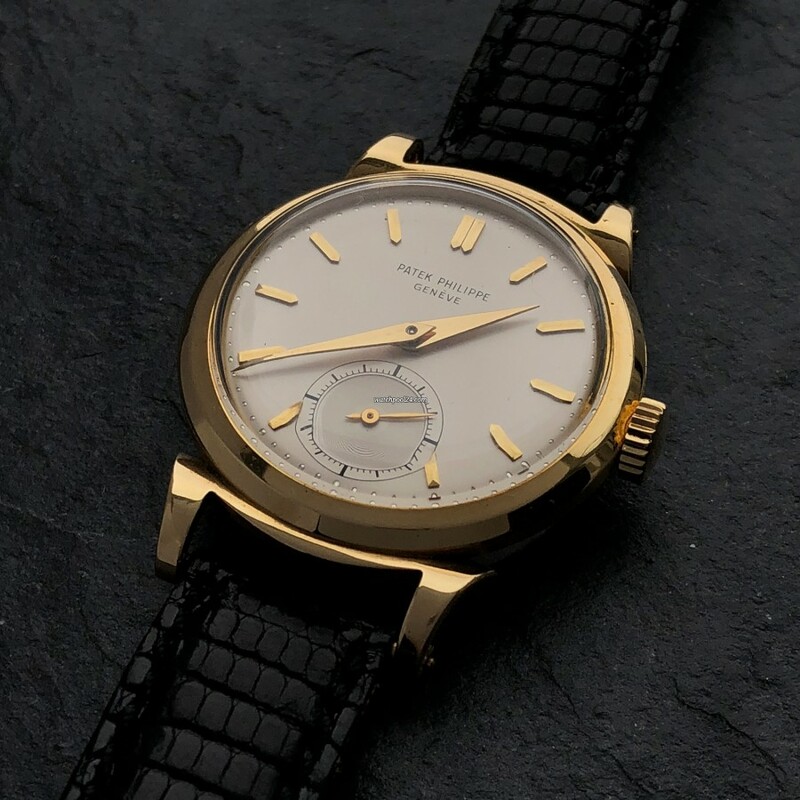 The Patek Philippe Calatrava 1491 offered here is in excellent overall condition. The 18 ct. yellow gold case with snap-on case back is unpolished and in great condition. The beautiful scroll lugs seem to be unpolished and give this watch a very elegant look. The dial with the small second at 6 o’clock is in excellent condition and absolutely stunning for this age. The „Dauphine“ gold hands as well as the applied gold indexes are absolutely flawless. This particular watch comes with the Patek Philippe manual wind movement, caliber 12-400, that runs just perfectly. The watch offered here is in excellent condition and a true design icon. This reference is a prime example of the elegant design of Patek Philippe. To wear this Calatrava 1491 on the wrist, means to wear pure elegance.